Tiny Slots launched in 2016 through Nektan and with it they introduced another incredible gaming site, which provide us with the opportunity to pay by phone bill. You may have noticed that the number of casinos offering Boku is rapidly on the increase and we have to admit that we at Phone Bill Casino are delighted about it. But to begin with lets talk about the games, which on Tiny Slots is all about the reels. 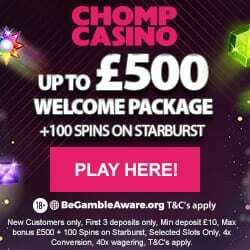 You have a huge range of video slots available, many from top providers such as the exciting Starburst and Cleopatra. But if you fancy something a little different, then you can check out their casino games which include Roulette and Blackjack. With so much to choose from it can be hard finding the time to play, especially if you’re bound to your desktop. So why not try gaming on your mobile? Because Tiny Slots offer a number of games on both mobile and tablet devices, with just as high a quality as desktop. Now we’ve covered the games we can think about the bonuses. On Tiny Slots these begin the moment you register, with a £5 no deposit bonus to use however you like. Because Tiny Slots know the excitement that weekly bonuses can bring, they offer some impressive ones including Tuesday Match and its 25% credit boost, Bonus Spins on a Thursday and Cash Drop weekends. Tiny Slots appreciate their regular players and as such offer a Privileged Scheme. 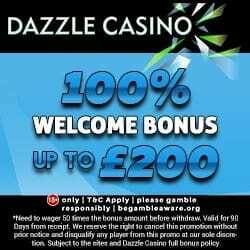 Very much like a VIP Club this is invitation only, but becoming a member means that you’ll enjoy many extras such as cashback, weekly bonuses and bonus spins. Should you have any questions in regards to any of the offers and games, or you have a technical issue then you can access a representative via email, telephone or post. If you’re unsure about Boku then please check out our article on mobile billing and the other casinos it is available on. 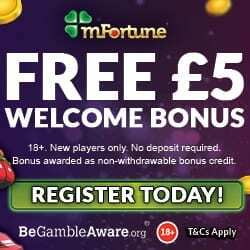 To enjoy this incredible gaming site and the exciting £5 no deposit bonus, simply head over to Tiny Slots and enjoy!